Teachitworld is a unique online resource for English Language teachers. Together the libraries house 2,931 pages of classroom materials, computer-based (or 'whizzy') tasks, audio files, teaching ideas, images and newsletters, all created by working teachers and – thanks to our team of contributors – constantly growing. Teachitworld's subscription services, offering editable content and online access for ICT lessons, enable us to function as a small, no-frills business, but more importantly, to share a proportion of revenues with our contributor network of teachers in the classroom. Teachitworld is a sister site to www.teachit.co.uk – a tried and trusted education resource used by thousands of English teachers in the UK and further afield. 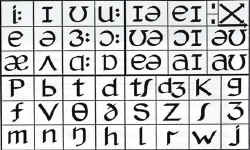 Visit any of these web sites to choose a tool to enable you to type the Phonetic script.